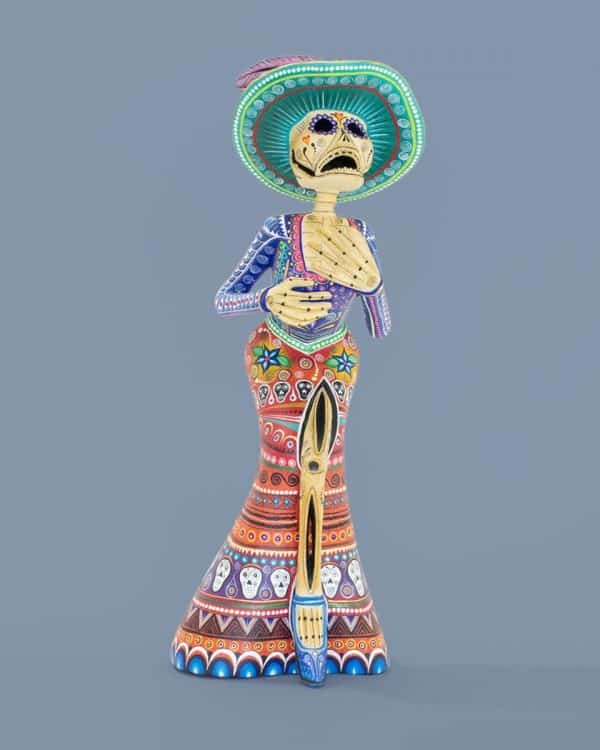 An amazing ‘Catrina’ skeleton lady figurine from Oaxaca, Mexico. 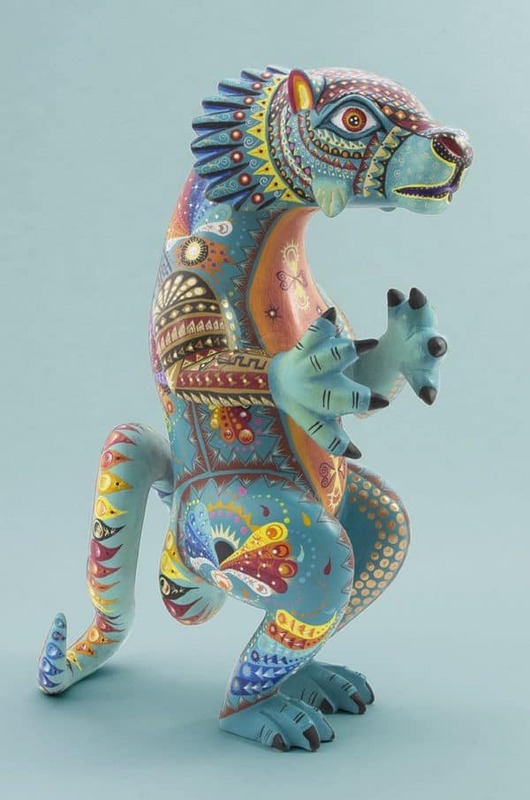 Elaborately carved from copal wood by artist Manuel Cruz, and beautifully painted by his wife Ruvi Martinez. 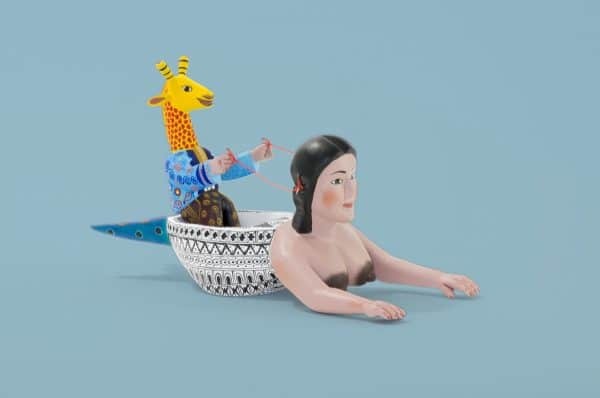 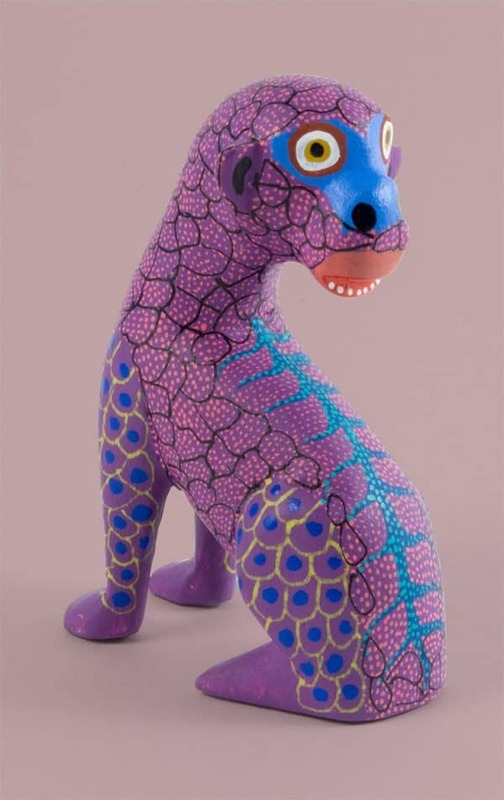 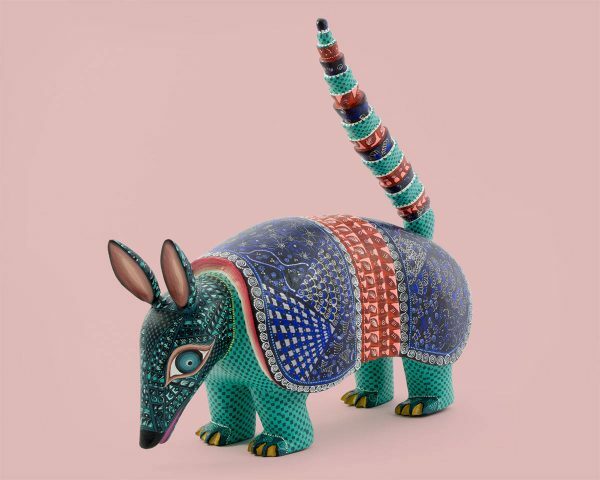 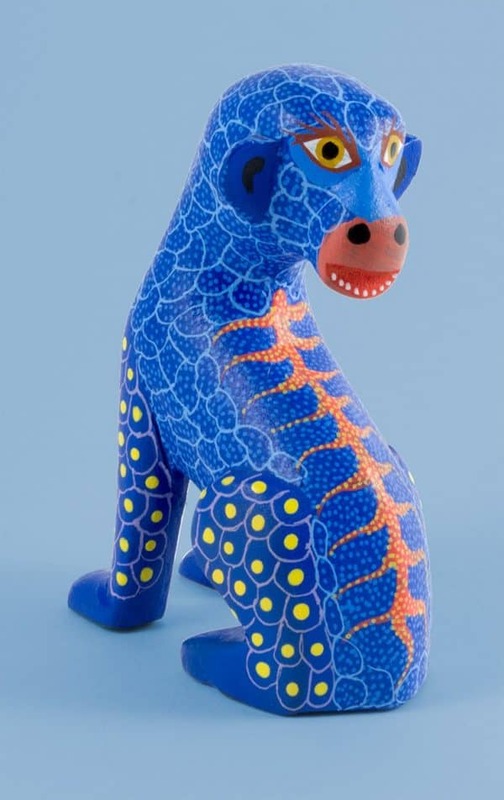 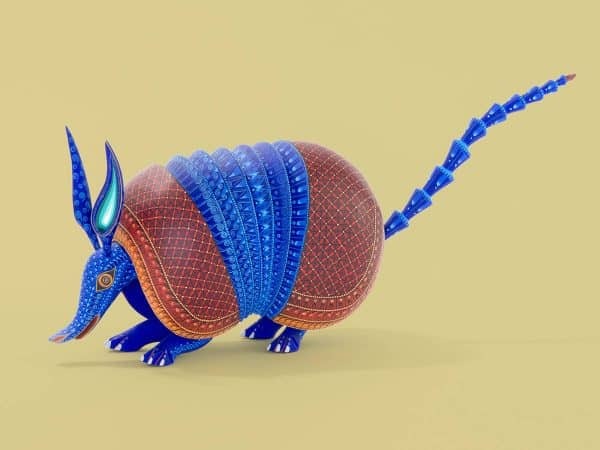 Manuel is the son of one of the masters of Oaxacan wood carving, Agustin Cruz (acclaimed for his fantastical carvings of toys, nativities and religious icons). 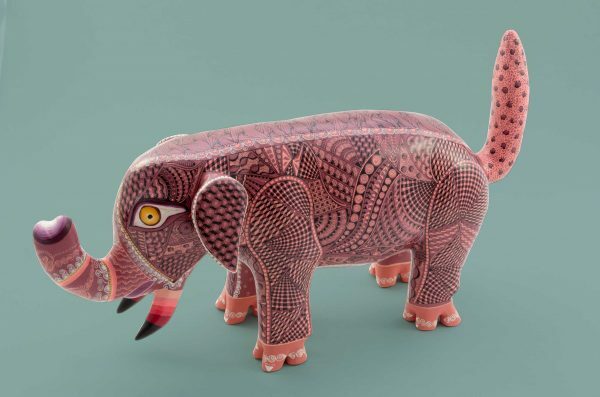 He has certainly inherited his father’s talent for precise and complex carvings, but has his own distinctive style. 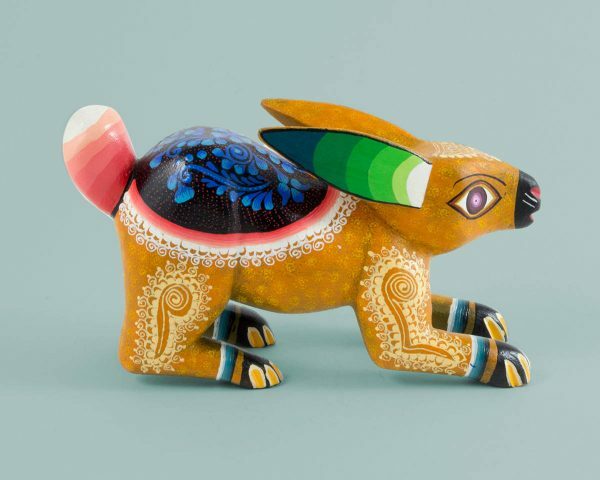 His wife Ruvi Martinez is a talented and innovative painter in her own right. 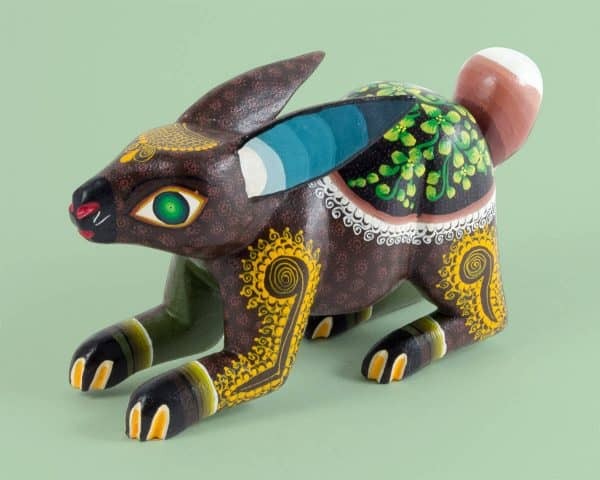 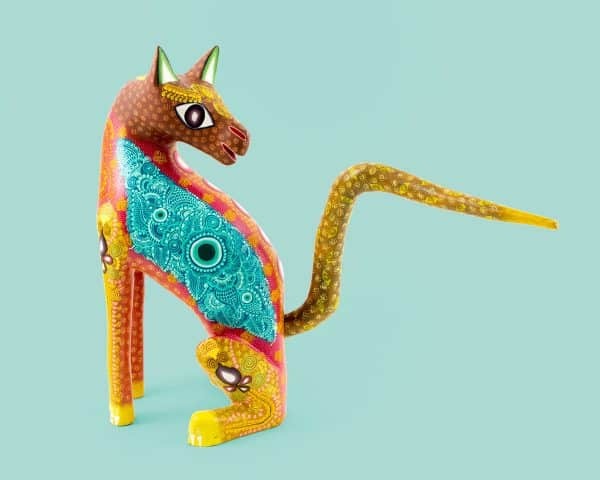 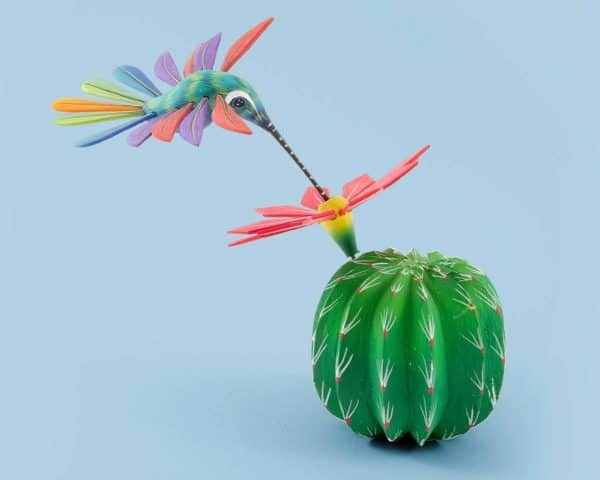 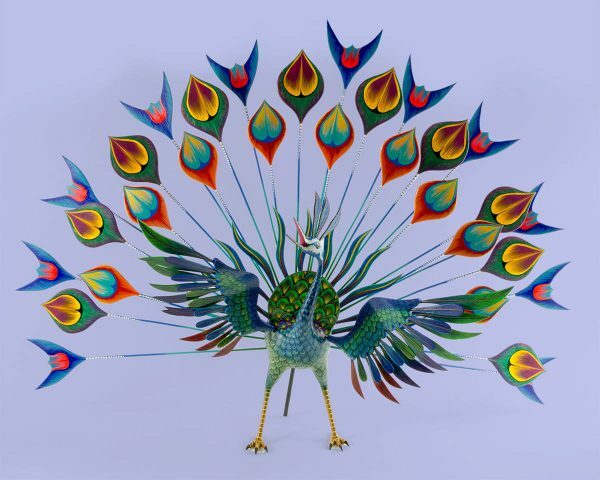 Manuel was awarded first place in the wood carving category in the 2016 MEAPO-FOFA awards for Mexican folk artists, and his pieces are highly sought after by collectors.